People can easily connect with the world by sitting anywhere through the application of Facebook on their phones. 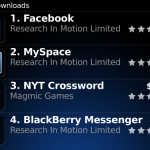 However, the browsing can be much more efficient when it comes to the Blackberry mobile phones. Now you can have Facebook on your Blackberry devices in a quick way. Through this app, you can chat; share your views, images with your friends and family members. Following are the helpful instructions with which you can connect with your loved ones, and can stay connected in your social lives and it can save your time as well. 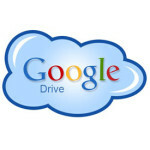 Google has recently expanded the storage capacity for Google doc to 5GB in order to facilitate the promotion of Google Drive and to attract people also for advanced level of service and more initiative of storing content. Gmail’s capacity has also been increased from 7GB to 10GB for this very same reason. Life is moving pretty fast nowadays and there is hardly anyone with-out a smart-phone these days. Such smart-phones are built with such great pace that all you need is a touch away. IPhone 4 falling in the top must-have smart-phones category has literally made everyone’s life extremely easy. 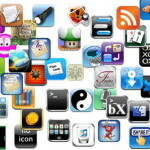 Lying below are the 5 most worth-while apps for the iPhone 4. With the rapid increase into the challenging environment, it has become necessary for the company of Apple to keep pace with this tough competition and should continue develop phones for the upcoming sharp and witty sixth generation. The company needs to introduce something which has to be very unique and different to appeal the young generation especially. 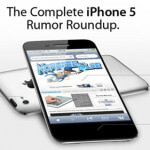 Since, most of the fans of IPhone and its users were not really seemed happy by 4S, it is essential that its series need to be updated in such way that the people would not be able to get dissatisfied any further. Few rumors are stating that the upcoming model can have casing of Liquid Metal or LTE support also, hence this can be something exclusive to add into the features of next upcoming model. Two years ago there was not any concept of using Web 2.0 and people barely knew that they can have social network successful websites rolling down in their PC’s and even on mobile phones. But the things have completely changed today. In 2004, the internet was completely a different thing, there was only youtube but people could not able to use it because there was not any broadband facility for Britons. This has been changed not, more than 75% users of broadband exist today and Web 2.0 has brought websites which have changed the world of people. A newly launched tool for checking the privacy terms and policies and ensuring that people are using a security fool proof app or not has been introduced named as Privacy Choice. This tool assures that the Facebook application is safe to use or not and provides guidelines to the users as well. 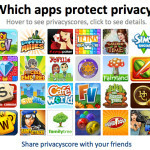 Privacy score is itself a Facebook application basically and it allows users to type in the name of any kind of particular application and can get the records if it can harm their appliance or not. One for home use, one for business, one for devices running ARM chips, and one for big enterprises that buy in large quantities are the only 4 Versions of Windows 8 being launched this time. Microsoft finally decided to put an end to all fuss that had been created by launching different versions of the same operating software, and launched only 4 versions of Windows 8 this time. You must have all heard about the latest invention by Apple; Siri. This great function has been built-in iPhone 4S. Speaktoit Assistant is a similar app which functions in the same way as Siri. 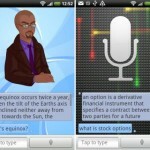 Speaktoit is an android app, basically a virtual buddy that acknowledges voice commands. 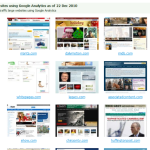 Its function is to carry basic tasks such as Web research. It connects you with different web services such as Google, Facebook, Twitter, Foursquare, and many others.